Are you ready for Halloween and the spooky time of year? 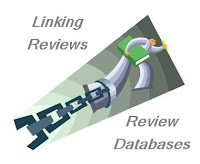 Do you and your family like a little supernatural fun and young heroes saving the day? 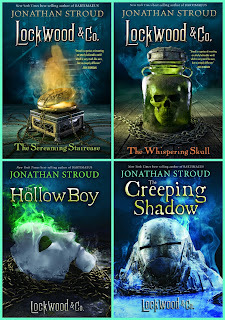 If so (with thanks to Disney-Hyperion), have I got the books for you: the Lockwood & Co. series by Jonathan Stroud. I've only just started this creepy series about the hoard of ghosts, specters, and other evil spirits that has descended on London. Of course, everyone wants the city to be free of the otherworldly beings, but it seems that humanity can be saved only by the young, who have the power to see their foes. 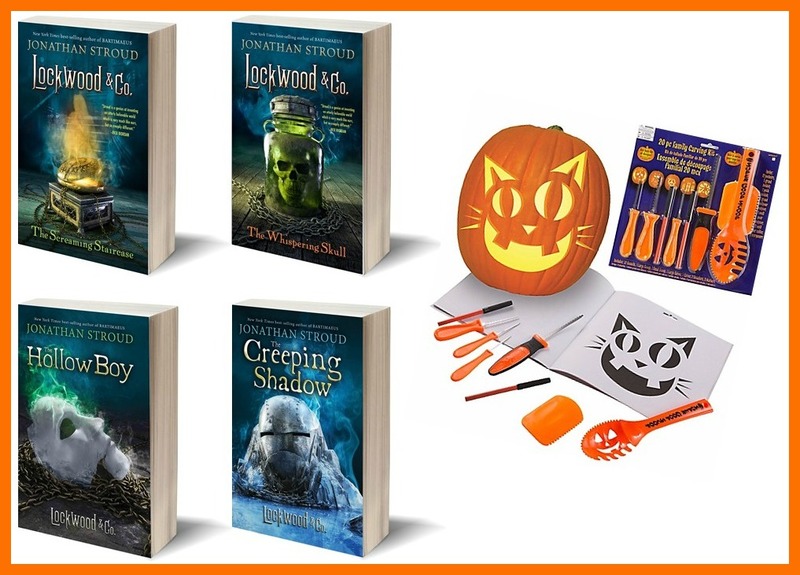 Among the many ghost-busting agencies that have sprung up around the London, is Lockwood & Co., a completely youth-run operation manned by Lucy, Anthony, and George. The trio takes up a variety of spooky cases that are part exorcism, part mystery, and always creepy. The kids have to outsmart the ghouls and rival agencies, while they learn from their mistakes and their relationships grow and change. 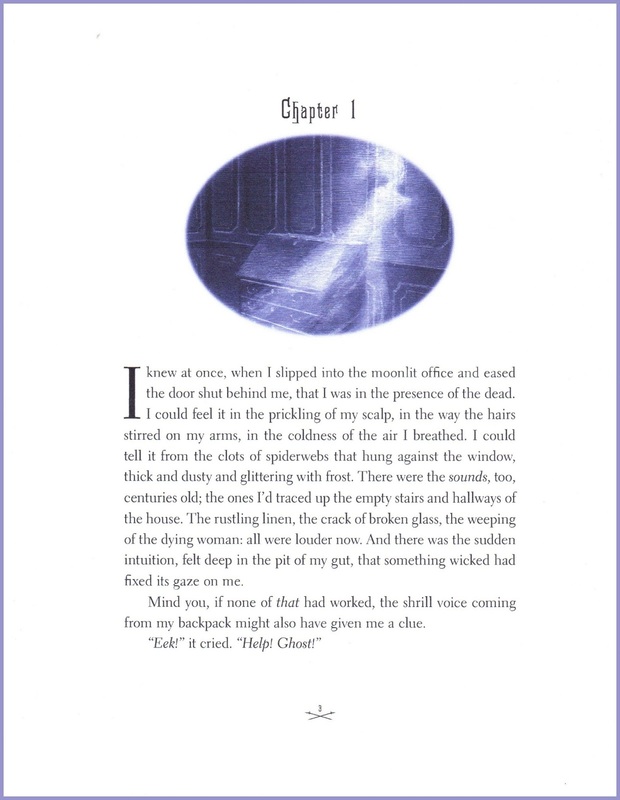 In book 1, The Screaming Staircase (published in 2013), we meet our heroes as they are tapped to investigate a haunted house. In book 2, The Whispering Skull (published in 2014), Lockwood & Co. comes into conflict with the rival Fittes agents while investigating a possible grave robbery. In book 3, The Hollow Boy (published in 2015), the team gains a new member while they investigate a murder. The newest book, which was just released, is The Creeping Shadow, which focuses on Lucy and her involvement with taming a legendary cannibal. 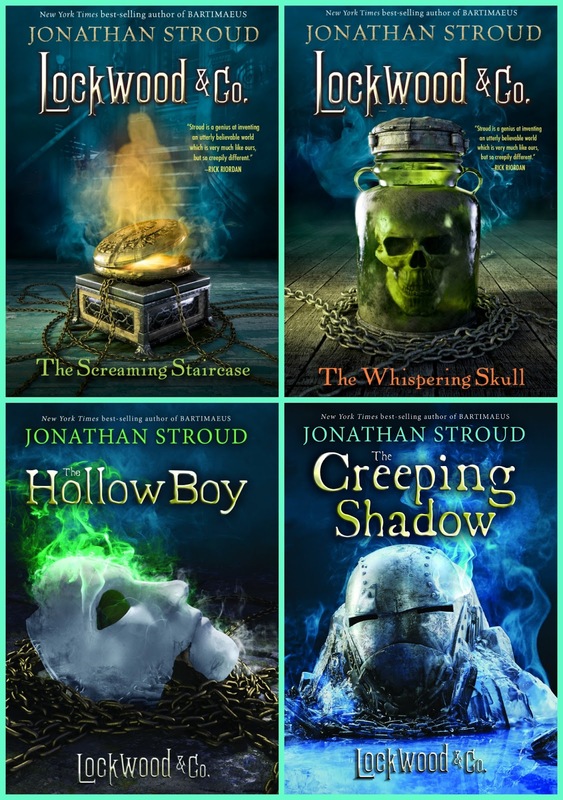 To learn more about Jonathan Stroud and the Lockwood books, visit the official Lockwood website, follow Disney-Hyperion on Twitter and Instagram, and follow hashtag #LockwoodandCo on all your social media. Thanks to Disney-Hyperion I can offer one of my readers with a USA mailing address the following awesome prize pack. Not only will the winner receive all four Lockwood & Co. books by Jonathan Stroud but he or she will also get this really cool pumpkin carving kit, complete with carving tools and a design book. All you have to do to be entered for a chance to win this fantastic prize pack is to fill out the following form with your USA mailing address. 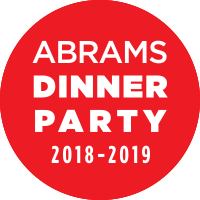 I'll pick a winner using a random number generator on October 27. After the winner has been confirmed and the address has been passed along to Disney, I'll erase all personal information from my computer. Good luck! I love ghosts and this sounds like a fun series. Thanks for the great giveaway. sounds like great fun ..